Kellogg Community College is seeking applicants for specialized manufacturing training that may be free for people who meet eligibility requirements. The training programs are geared toward unemployed people, especially those impacted by foreign trade. For example, qualified employees whose jobs were eliminated due to outsourcing can obtain free training that may equip them for a variety of production and skilled trades positions. “If you’re ready to jump-start your career in manufacturing, KCC can help you prepare for high-wage, high-demand jobs that are being created right here in Calhoun, Barry and Branch counties,” said Laura McGuire, director of KCC’s Regional Manufacturing Technology Center. Depending on their chosen field, applicants can begin a training program at KCC immediately and earn a credential within a few weeks. 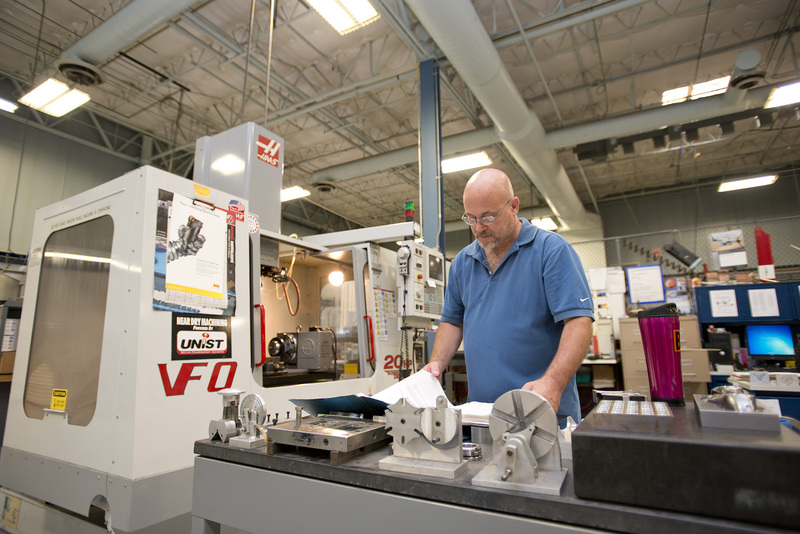 The College is expanding its programs in support of workforce preparation and employer needs in advanced manufacturing thanks to a $2.7 million grant from the U.S. Department of Labor. “This is a unique, employer-driven program in that we are partnering with area employers to ensure the training is aligned with their needs and with job placement for individuals who complete the training,” said Sara Hubbard, director of Workforce Solutions at KCC. The grant is part of the federal Trade Adjustment Assistance Community College and Career Training grant program, a multi-year, nearly $2 billion initiative to expand targeted training programs for unemployed workers. The investment in training and technology is vital to meeting the increasing employer demands for skilled workers in the region. In 2013, new companies and existing employers announced expansions that are expected to bring more than 1,000 new manufacturing jobs to the area over the next two to three years. Employers in need of entry-level and skilled workers are encouraged to contact KCC. For more information or to determine eligibility, contact Casey Holbrook, career coordinator at KCC, at 269-565-2804 or holbrookc@kellogg.edu.